While Baltimore boasts a wonderful green canopy, it is quite fragmented. Most of the forest is in patches. Forest interior species prefer the shady peace that is created when a forest is large enough that you can’t see the edges when you are standing in the center. They require the variety of food sources, nesting sites, and extra space that a mature forest provides. In desperate times, our forest interior wildlife will wander between patches of trees in search of food and shelter. Some are also migratory and need a place to land and rest on their journeys. What we can do for these species is to expand our local woodlots and improve the quality of the vegetation therein. We can do this by clearing invasive vines and ground cover, leaving dead snags available for nesting and forage, and protecting native saplings and spring ephemeral flowers from deer. Barred Owls are common (for owls) and an indicator of healthy mature forests. They need large, dead trees for nest sites, and these only occur when a forest has been undisturbed for a very long time. 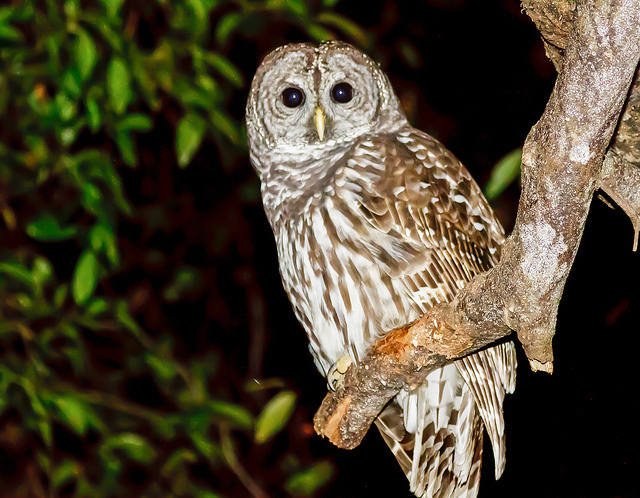 Learn more about the Barred Owl! The official bird of our neighbor city, Washington D.C., the Wood Thrush migrates to our region during the spring. It breeds in forests that are at least and acre in size, but really thrives with much more territory, where it is better protected from predators and nest parasites. Learn more about the Wood Thrush! 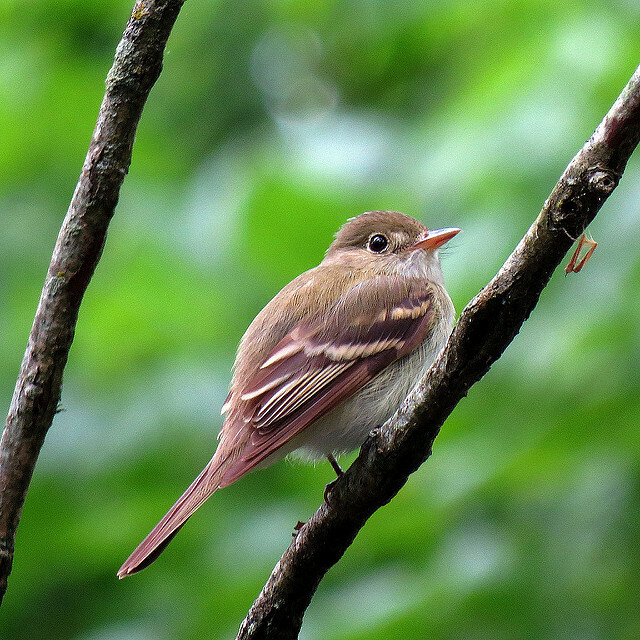 The Acadian Flycatcher is a perfect example of a forest interior dwelling bird. They need large tracts of mature forests to thrive. They are vulnerable to forest fragmentation, and since a lot of Baltimore is shaded by tree cover, we really need to work on expanding and connecting those patches. Learn more about the Acadian Flycatcher! You usually see butterflies our in the sun, but these distinctive swallowtails can be found wherever Pawpaws are found. Pawpaw’s are a fruit tree native to Maryland that grows best in the wet shady understory of our healthiest forests. These gorgeous birds are on a comeback since clearcutting of their winter habitats has slowed down. They hang out lower in the foliage than the typical warbler, so find them foraging on deep in the woods on the forest floor during breeding season, or visiting your backyard shrub during migration. Learn more about the Zebra Swallowtail! Learn more about the Black-throated Blue Warbler! Some species are not on the map because there are no publicly logged data observations. This highlights the importance of sharing critical biodiversity data!